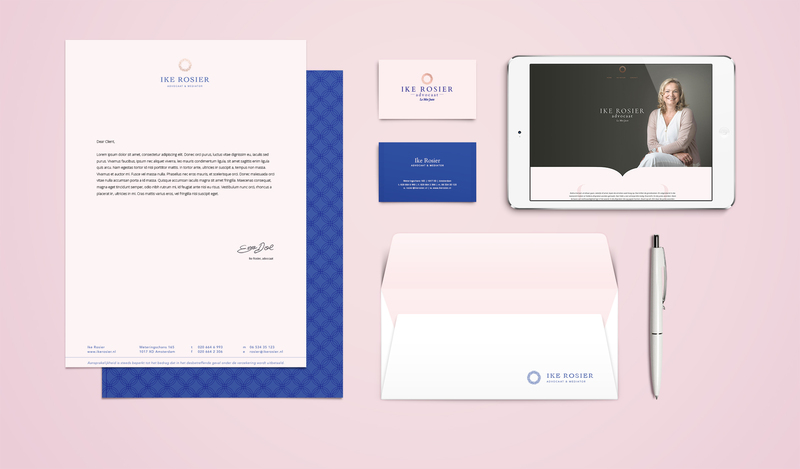 Elegant brand identity and website for lawyer. 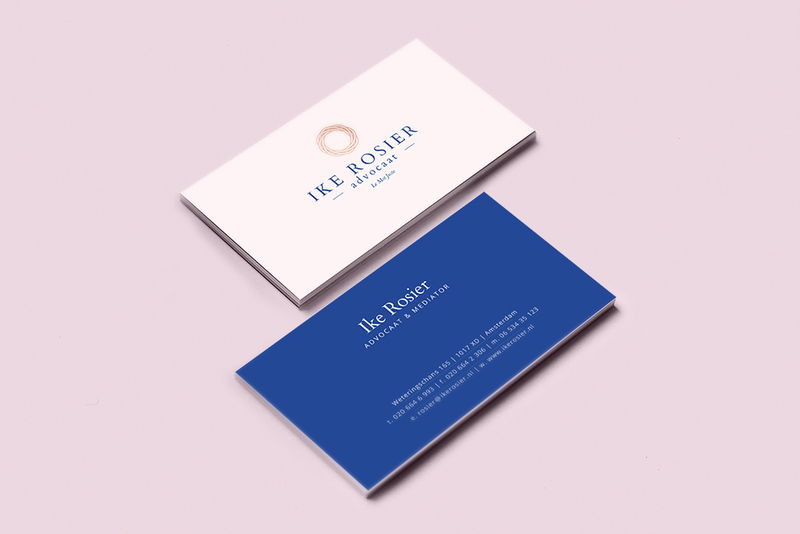 Ike Rosier is a lawyer with a huge personality, feminine and feisty, and someone who really cares about her clients and cases. 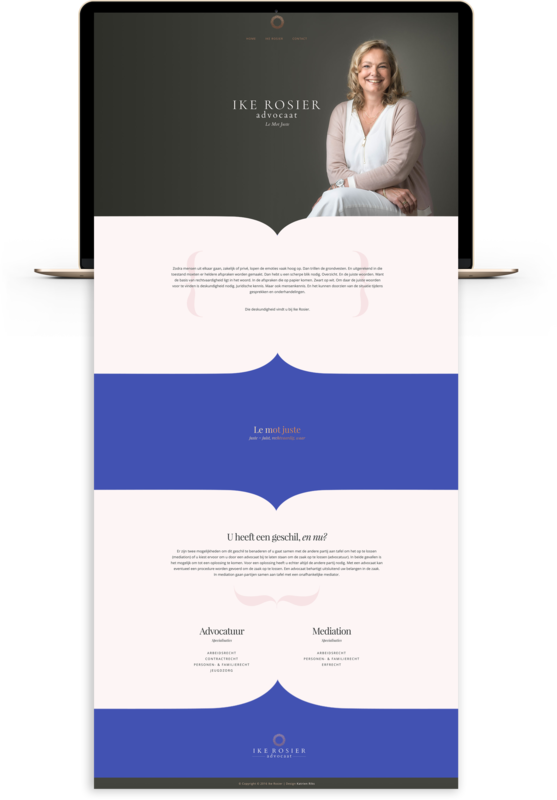 Ike needed a brand and website that represent her formidable character and professionality. 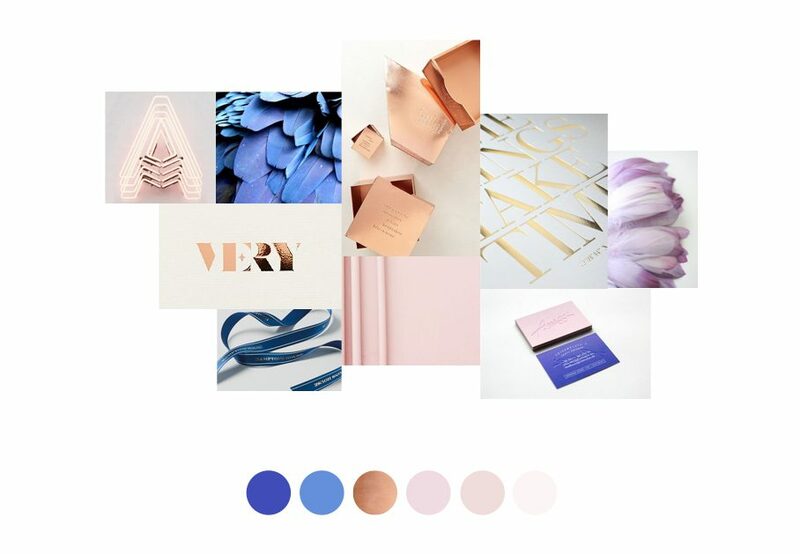 A soft powdery pink conveys femininity and the use of Yves Klein blue shows the strong character of Ike’s personality and work. A copper logo of an intertwining ring suggesting elegance, quality and loyalty.